The Acer Predator XG270HU monitor has all the features a gamer will want to consider, we’ve got the fast refresh rate, the quick response times, the QHD screen and this one comes with FreeSync, AMD’s answer to stuttering and screen tearing. That’s right, when Nvidia put together G-Sync for their own cards AMD needed to respond and get something out themselves. Nvidia’s solution required a proprietary module that was not going to work with the Radeon line of graphics cards so they go to work on the FreeSync solution. And then AMD made a smart move, they have created a more open system, they’ve even teamed up with VESA to make it part of the DisplayPort standard. Sinking money into a FreeSync monitor could be a safer bet, it tends to be the more open standards that survive in the long run, but only time will tell. Right now though, if you have a compatible AMD card and you’re in the market for a gaming monitor then you’ll want to keep reading. In this article we look at the The Acer Predator XG270HU, we’ll give you an overview of the highs and lows, links to all you’ll need and a couple of buying choices if you decide to take the plunge and buy the XG270HU. The Acer comes with the zero frame design tag, this means it has a super thin bezel. Put two of these next to each other on your desk and you’ll hardly notice the gap between them, it’s there of course, but it is about as minimal as you can get right now. As a big fan of minimal frames this is a real plus point and a necessity for any monitor I buy in the future. But it’s not all rosey, the monitor does not come with a VESA mount, this could well be a deal breaker if you are looking to attach this to a stand or mount on the wall. The included stand isn’t that great either, it comes with limited adjustability. When you pair that with the lack of mount compatibility getting the perfect setup could be problematic, but then it depends on your requirements. I tend to just plonk mine down on the desk and that’s it, but your mileage may vary. Given the price point I might have expected more. This is a TN based monitor, great for fast response times but traditionally not so great for colour reproduction. But the Acer comes up well against the IPS counterparts. In fact some reviewers who have put them side by side have struggled to justify spending more on an IPS panel and potentially sacrificing response time. When it comes to gaming it looks like FreeSync does the job, and minus the processing overhead that G-Sync is reported to need. FreeSync does have some limitations compared to the Nvidia rival but it does it a great job of eliminating screen tearing so if that’s what you want from your monitor the Acer XG270HU will deliver – assuming you have a compatible graphics card. 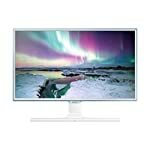 The monitor offers a lot for the price, whilst not perfect we can forgive these issues. This is a good choice for anyone who has an AMD Radeon card and is looking to take advantage of the FreeSync adaptive sync technology. It looks like the AMD solution is offering good bang for buck (or pound) right now. We give the Acer Predator XG270HU a 4.5 out of 5 rating. Want to know what existing owners of the monitor think? You can read real user reviews here. 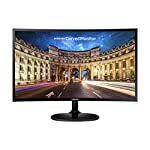 Should I buy the Acer Predator XG270HU? Welcome to the Acer Predator XG270HU FAQ. This section attempts to answer common questions you may have, please get in touch if you have any more queries or if you think our answers need updating. 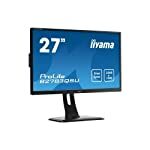 Does this monitor work with any wall mount? No VESA mounting option is included if that’s what you are looking for. Is there really no height adjustment? Unfortunately there is no height adjustment, and no easy way to mount it. If this is a key consideration you might want to look elsewhere. If you want the monitor to be higher, you could always put it on a pile of books. 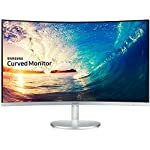 Do I need to use a DisplayPort cable to use freesync and if so is one included? Yes you do need DisplayPort, and yes you should get one in the box.